For today I have chosen Joe, today he got the merit award at school. It is awarded to a couple of children in every class to highlight how hard they have been working inuring the previous week. We received a top secret message this morning to invite us to the merit assembly, Joe had no idea and did not know until he entered the hall and saw us there. 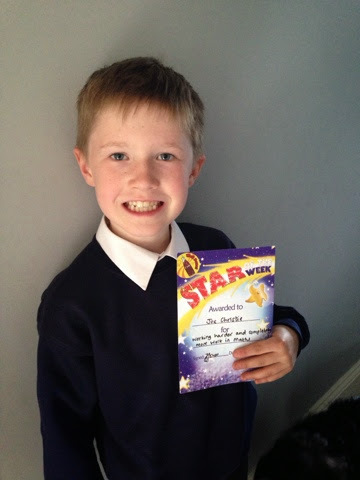 Well-done Joe for receiving the merit for improving your maths, nothing makes me happier than seeing the boys learning, doing well and happy at school. Next Post Mulberry to Cut it’s Prices ! Oh, and My New Purchase.